For those who are interested in living in a smaller condo unit that offers magnificent views, condos at Sea Gate Club Longboat Key are a popular option. Featuring relatively small units, Sea Gate Club Longboat Key is a good option for those who want to live on the beach but do not need a whole lot of extra living space. With each unit at Sea Gate Club on Longboat Key offering some of the most magnificent views in the area, these condos are a good choice for those who are looking for a home with a view. With units ranging in size from 1,046 to 1,513 square feet, the 90-unit Sea Gate Club Longboat Key offers some of the smallest units in the area. Constructed in 1973, Sea Gate Club is located within walking distance of the Longboat Key Club’s Harbourside section as well as the Avenue of the Flowers. 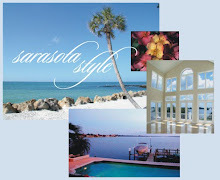 Furthermore, St. Armands Circle and Sarasota are both located just minutes away from the complex. As such, residents of condos at Sea Gate Club can easily select from a variety of shopping and dining opportunities as well as several area amenities, including tennis, golf and more.